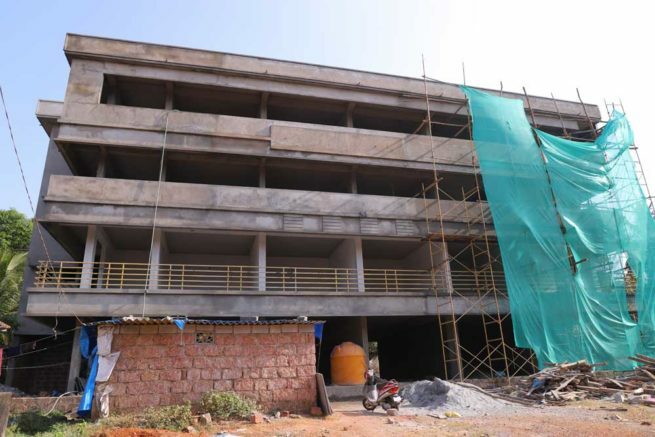 A state of art commercial centre is an upcoming commercial project developed by Kinfratech – A unit of Karthik Group in Guddeangadi, Alevoor, with options for retail shops and office spaces designed to cater growing development in the region. 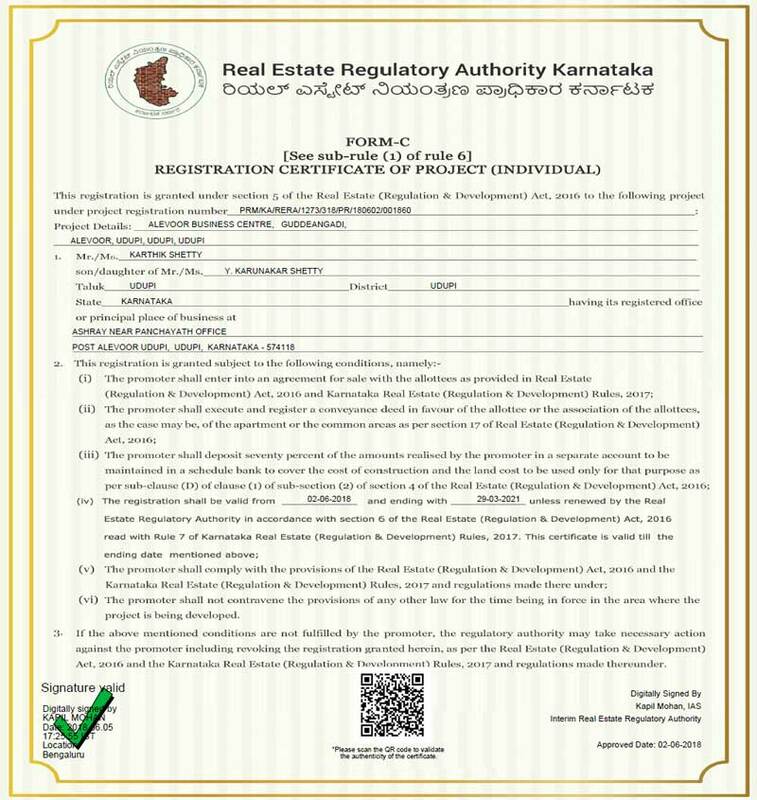 Approved by Udupi Urban Development Authority, the property is located in the Guddeangadi junction, the heart of Alevoor adjoining the Alevoor-Manipal main road. 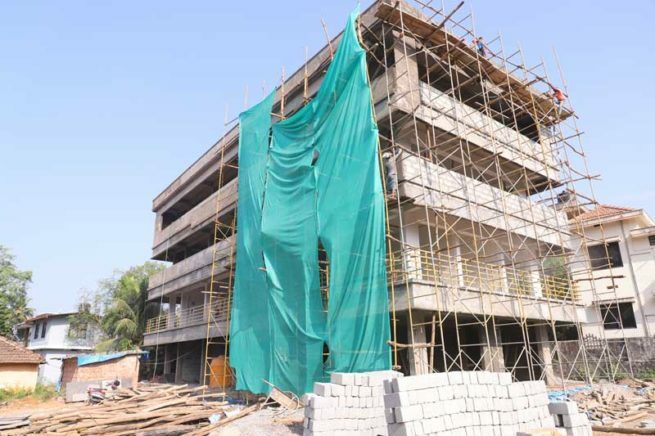 The property is commercially converted with 25 meter building line space and 15 meter road margin as per the major district road norms. Spread over ground, first, second and terrace garden, Alevoor Business Centre offers integrated solutions for a range of business needs. ABC combines sustainable building practices, all round corridors, effective ventilation helping you reduce the operating cost. The provision of clear-span plans provides an open floor plan, giving you the freedom to lay out your interior space in the best way for your business. Superior features like integrated building management systems, power backup, dedicated high speed elevators, with ample green spaces, owner and customers parking spaces, water facility and thoughtful design will surely create an everlasting impression to your business. With stylish exterior and thoughtful internal spaces, this centre is sure to welcome the customers while being safe and efficient for employees and your business development.